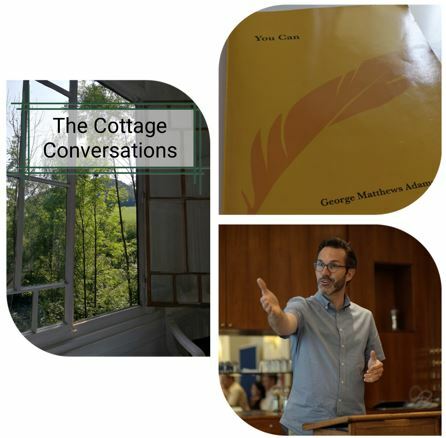 The Cottage Conversations are now available on various Podcast Apps and facilities where you can listen to David discussing various topics including Silence, Health, Ruts and Confidence among others. These short podcasts are based upon the book 'You Can' by George Matthews Adams which David uses as inspiration. Each Podcast is a reading of the original words of Adams which some commentary and discussion about the topics applicability to today. David would like to hear from you about various topics and themes that interest you, so please email or connect through Soundcloud, Anchor and iTunes.